This is actually a language group more than an ethnic group. This people group only lives in Sabah, Malaysia. Almost all of them live in one village. The primary occupation of the Abai Sungai people is fishing. The Abai Sungal people are Muslim. They adhere to the basic tenets of Islam, but like other peoples of Indonesia, they also believe in the power of the Evil Eye, etc. The Abai Sungai people need to understand that Jesus Christ offers them far more than they could ever imagine, if they would only put their faith in Him. 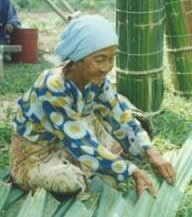 * Pray for dreams and visions among Abai Sungai people that will lead them to seek and find Christ. * Pray for spiritual openness among these Muslims. * Pray for many to come together to learn of and obey the teachings of Jesus Christ. 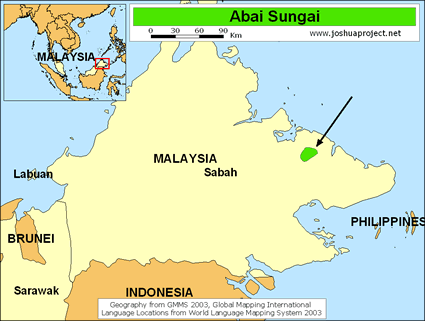 * Pray for a powerful disciple making movement among the Abai Sungai people of Malaysia. https://www.wycliffe.net/world?continent=ASI&country=MY&code=abfView Abai Sungai in all countries. Location in Country: Sabah, lower reaches of Kinabatangan river.